Primary Machinery has a wide variety of quality used Morbark biomass chippers. Find the Morbark chiparvestor that fits your needs with our wide selection of wood chipping equipment for sale. Our used industrial chippers for sale are competitively priced to fit any budget whether it be a Morbark 223 flail chipper or a 1050 horsepower Morbark 50/48 drum chipper, we have you covered! Our inventory is always changing, so if you don’t find the whole tree chipper you are looking for, let us know, we WILL find it. If it is your Primary Machine, we make it OUR responsibility! 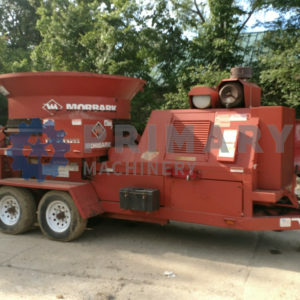 Used biomass chipper for sale.